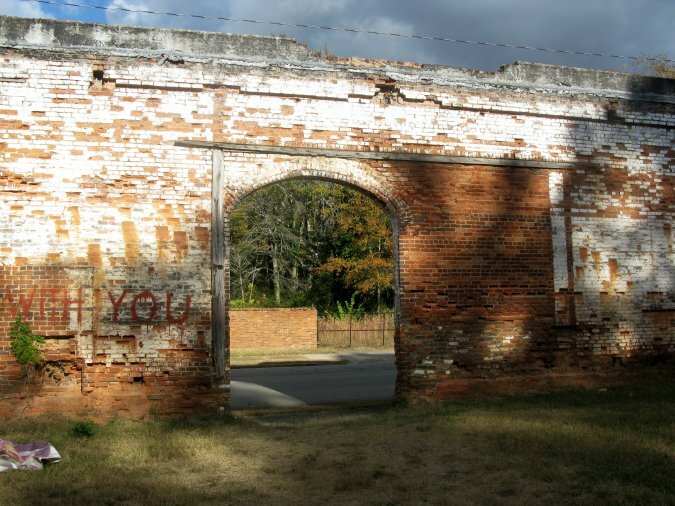 The PopCult vacation photo essays continue with another dip back into our bag of images from your PopCulteer’s Thanksgiving trip to Georgia. 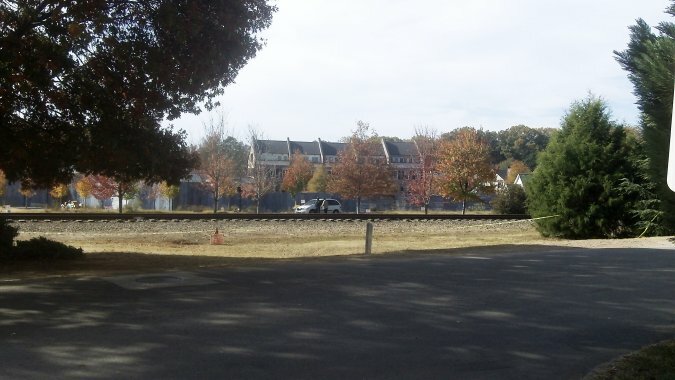 In this installment, we’re going to check out more of the sights of various shooting locations for the hit AMC series, The Walking Dead. 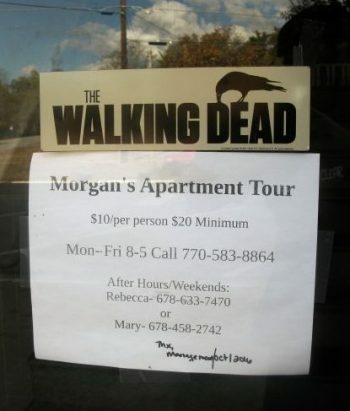 To the right of this text you see the sign on the front of the door to the recreation of Morgan’s apartment from the acclaimed “Clear” episode. Unfortunately we are still dealing with technical issues that limit the number of photos per essay and also keep us from captioning each one of them. 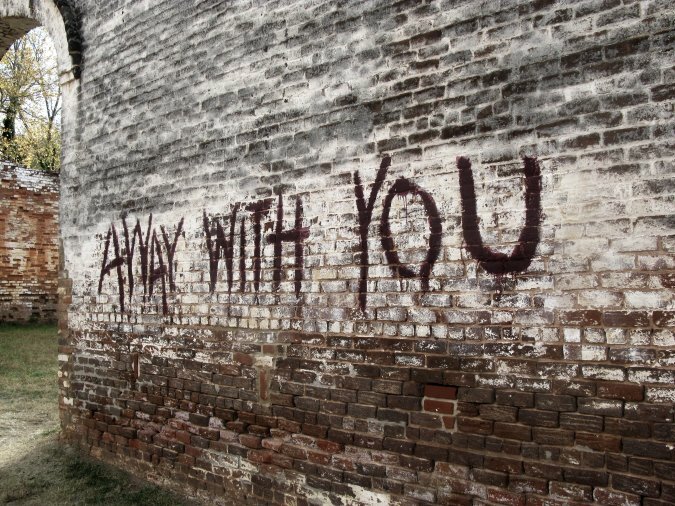 We’ll try to sneak in a few comments here and there, though. In this batch of photos you’ll see shots from Grantville, Harelson and Senoia. Keep checking back for more pics as we race to get the heck out of 2016. 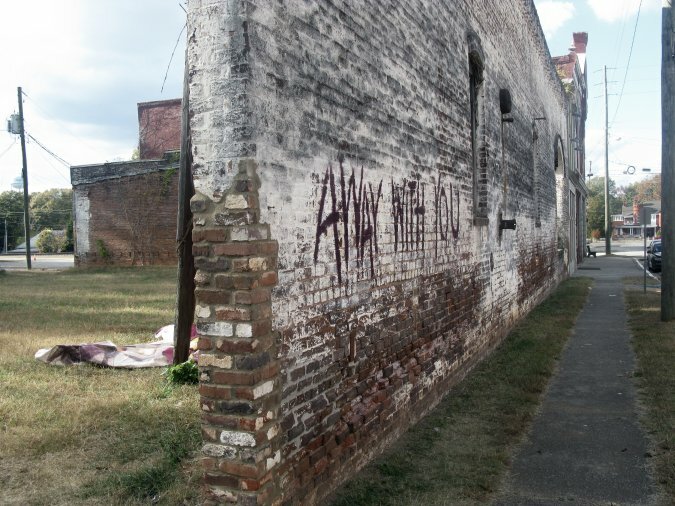 The wall, still scrawled with Morgan’s grafitti, part of a semit-destroyed building, a block away from Morgan’s apartment. 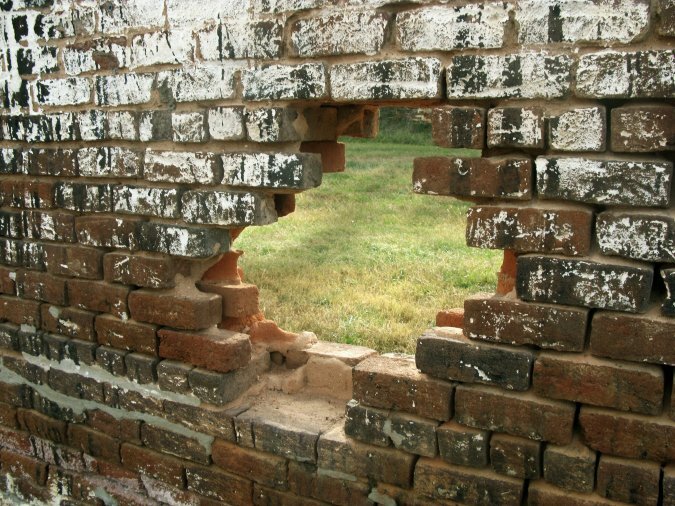 Let’s take a look at some shots from the inside and outside of this structure. 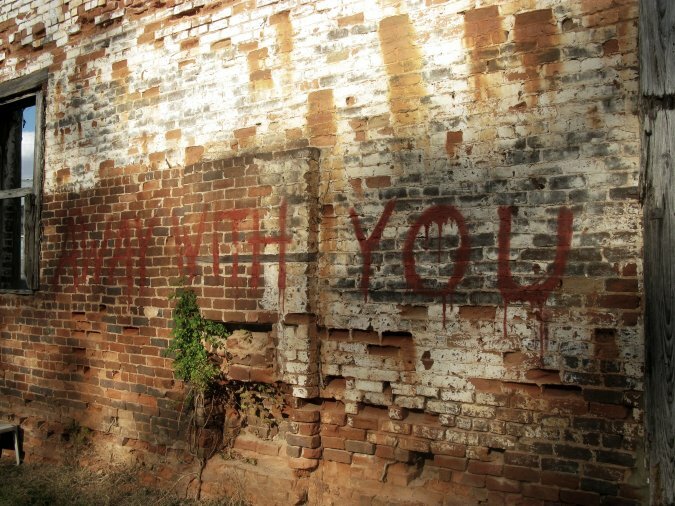 It’s a really wild place, with a bizarre vibe. 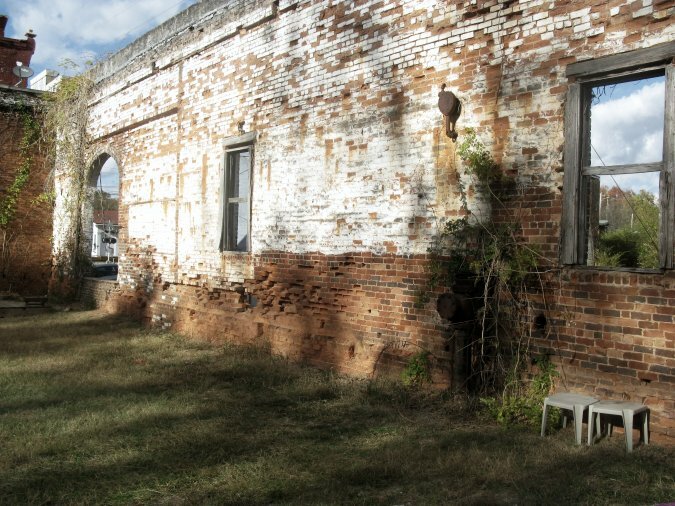 Within sight of the wall is the old train depot, which was converted into the diner where Carl and Michonne went to retrieve a photograph of his mother. 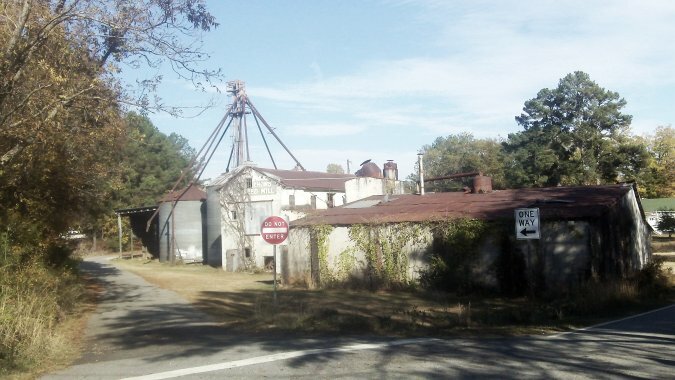 In Harelson we saw the Esco Feed Mill. 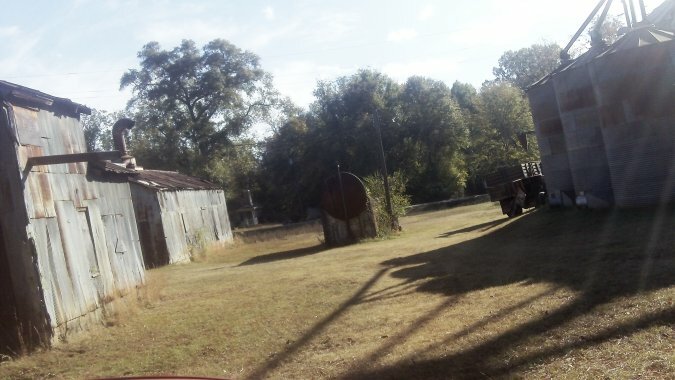 This is the spot where Merle met his end…a couple of times. 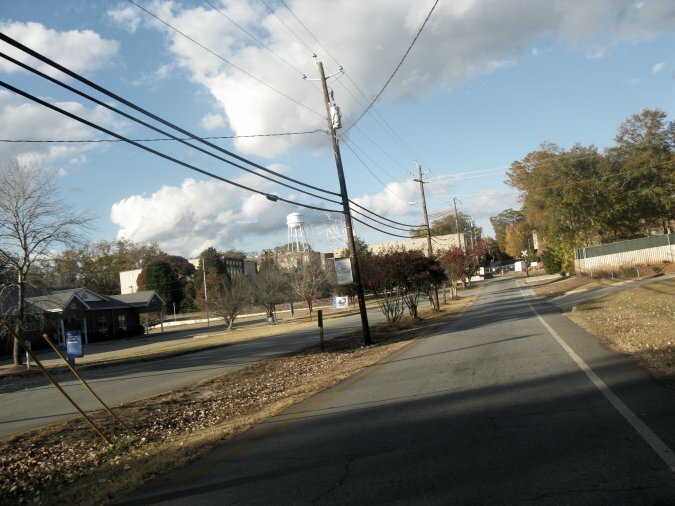 Back in Senoia, with that water tower I like to photograph so much. 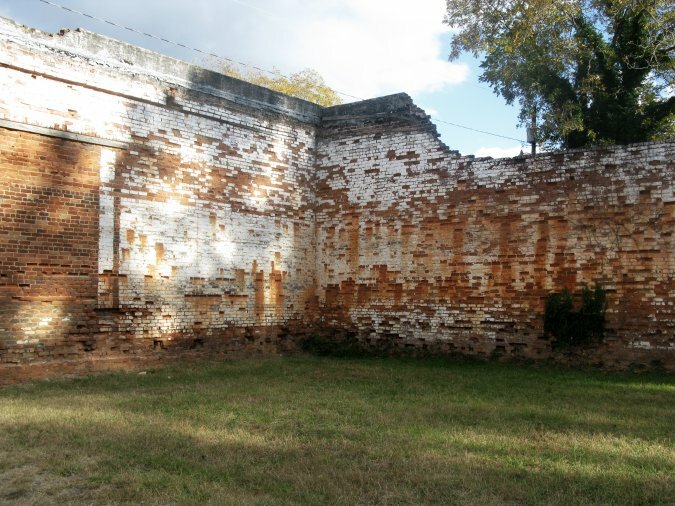 We’ll wrap up this essay with one last look at the Wall of Alexandria in Senoia. 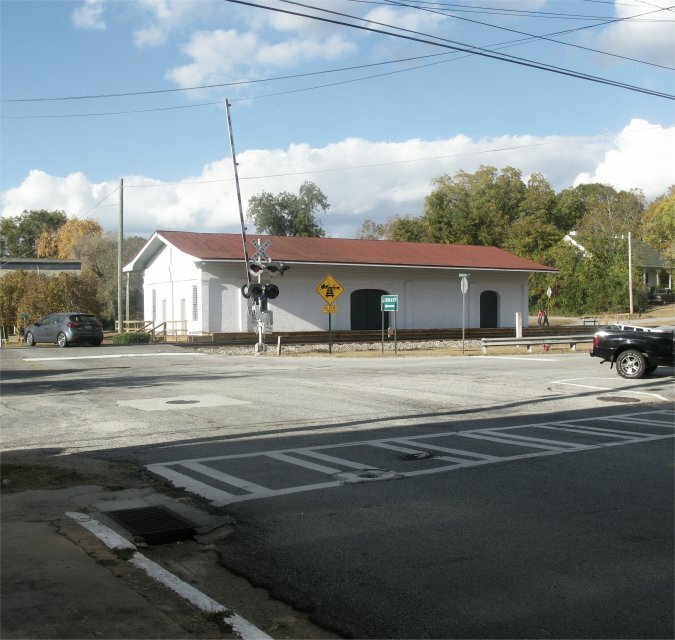 Next up we’ll see civilian pictures of Senoia and other points in Georgia.